I have become completely obsessed with blood oranges. I love that it’s always a surprise when you cut into one…sometimes they are dark maroon in color and sometimes they have more of a pinkish-red hue. I also love their sweet and not too tart flavor that blends well with almost everything. 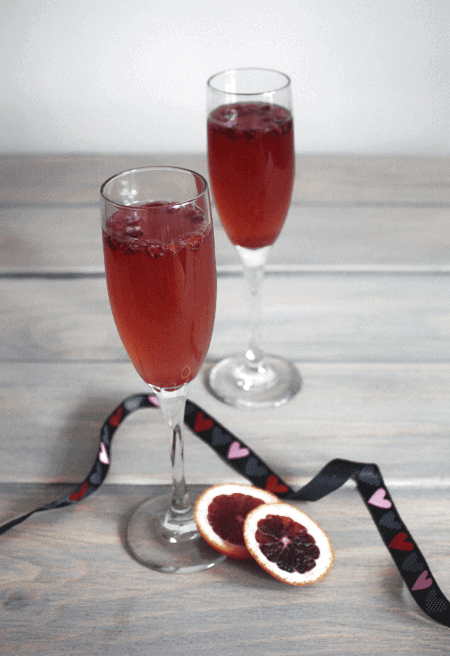 Blood oranges really shine in cocktails, whether it’s a margarita or a martini. Just the color of the juice can make even the most simple drink special. Blood oranges have a few really good friends, one of which is pomegranate. The other is champagne…mix them all together and you have a lightly sweet and perfectly balanced drink that is well deserving of it’s own holiday! 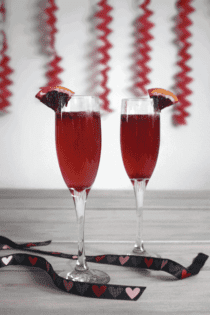 Valentine’s Day is quickly approaching and what better way to toast your special someone, (or friends), than with a beautiful bubbly beverage. Red is the color of love and I promise you’ll fall head over heels for this crimson cocktail. Pair it with Jamie’s fantastic Marinated Grilled Shrimp recipe for a Valentine’s day to remember! 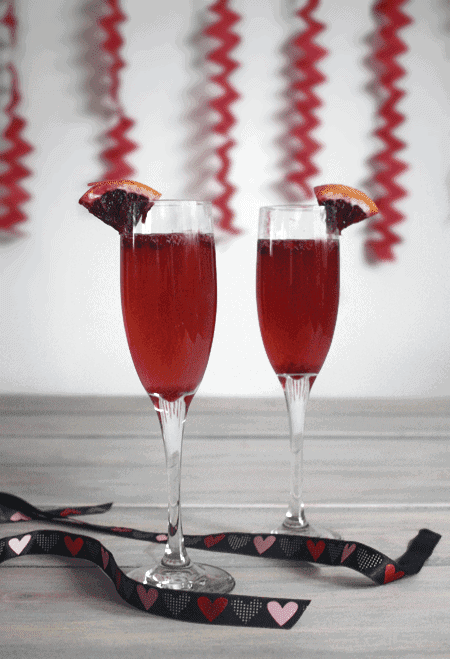 Measure out pomegranate liquor and blood orange juice into a champagne flute or wine glass. Top off with about 4-5 oz of champagne or sparkling wine. Garnish with pomegranate arils and a sprig of fresh mint. Enjoy! A perfect winter cocktail! This looks simple and phenomenal!